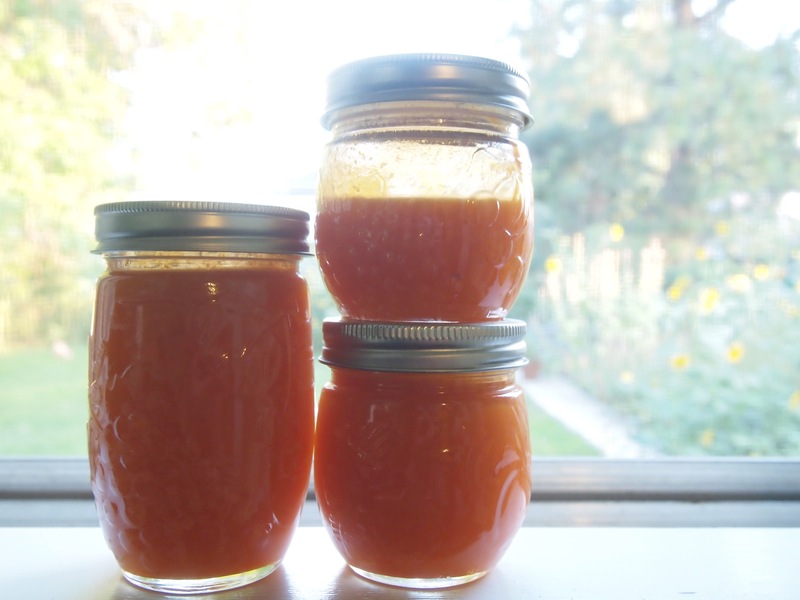 Canning is a miracle. Today, it is seen as intimidating or cumbersome; however I cannot imagine my life without this scientific marvel. It truly is mainly basic skills and access to fresh ingredients and the right equipment. 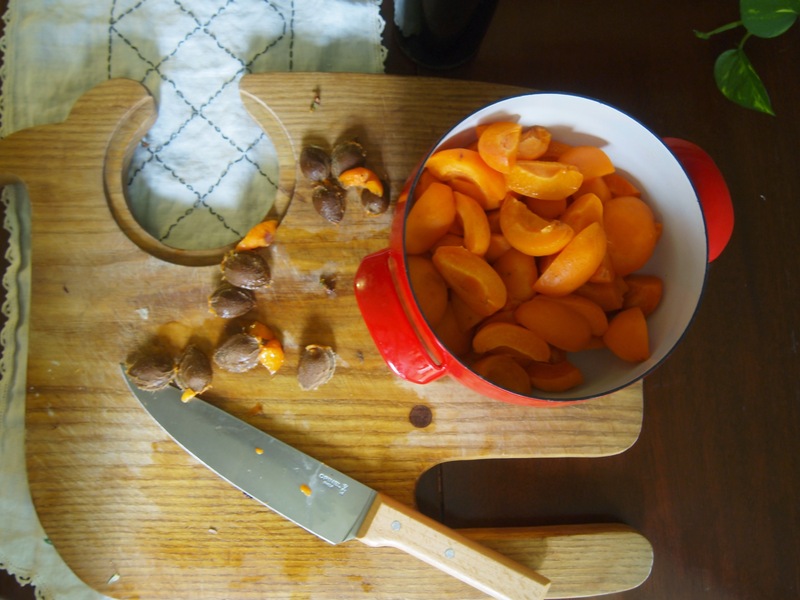 I’ll admit that my apricots sat around in my refrigerator for far too long, but they were still tasty and ready to jump into a pan and be turned into scrumptious jam. Sugar time! I have made different varieties of jam, some with honey instead of sugar, some with less sugar, and some with the full Ball-recommended amount of sugar ( which is a heart stopping load), all with what I deem as success. Now my jam philosophy is to add enough sweetener to taste; simple, enjoyable, exactly what my life needs. I find myself reaching for the sugar sweetened types more often lately so I went with plain white sugar. I bought this in a giant paper bag which will get recycled. 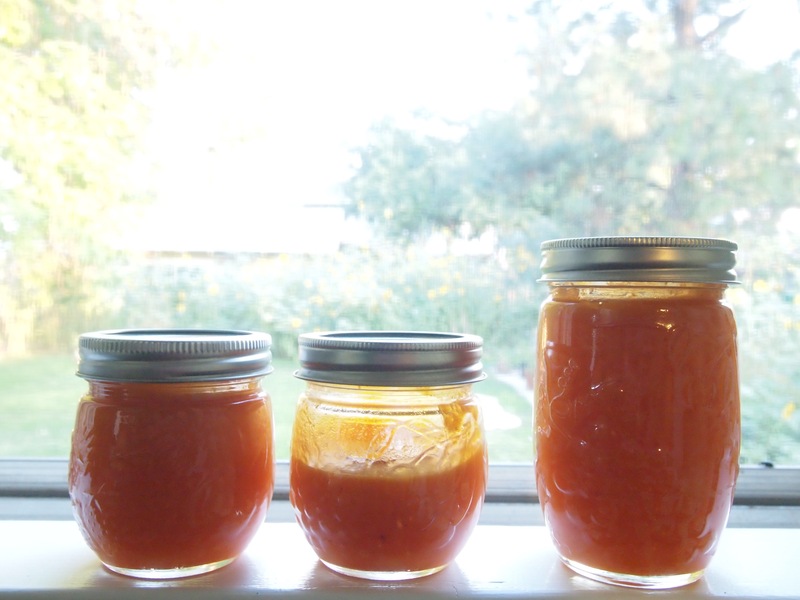 I did go through the entire canning process with a vat of boiling water and all the sterilization because I have precious little freezer space and I want to taste the sweet, tart freshness of apricot jam for a few months after they are no longer in season. As you can see this made approximately 3.5 cups of jam. I didn’t have to buy more glass jars of jam, and I know exactly what’s in this: apricots and sugar. 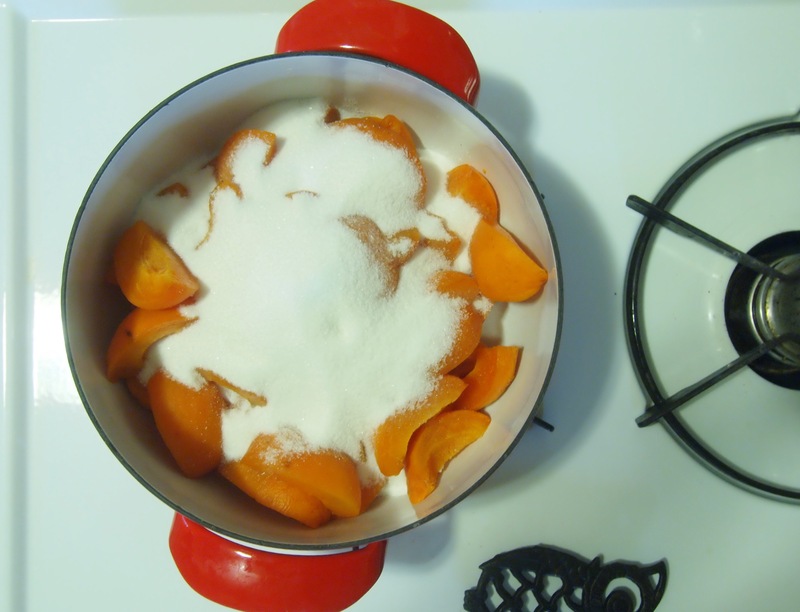 Pectin is not required because I left the skins on the fruit which provides enough natural pectin to gel. Now I’m going to go enjoy this on some freshly baked whole wheat sourdough sandwich bread.